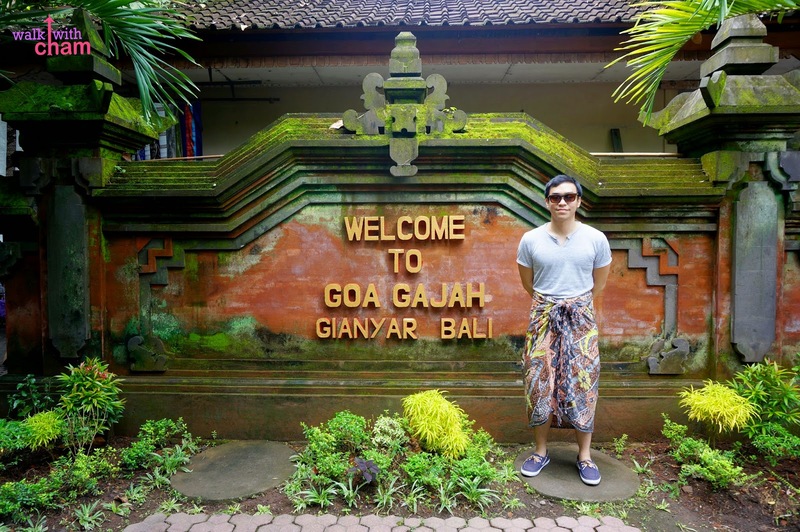 After visiting the famous Ketut Liyer we stopped at Goa Gajah which is just a few kilometers from Ubud. 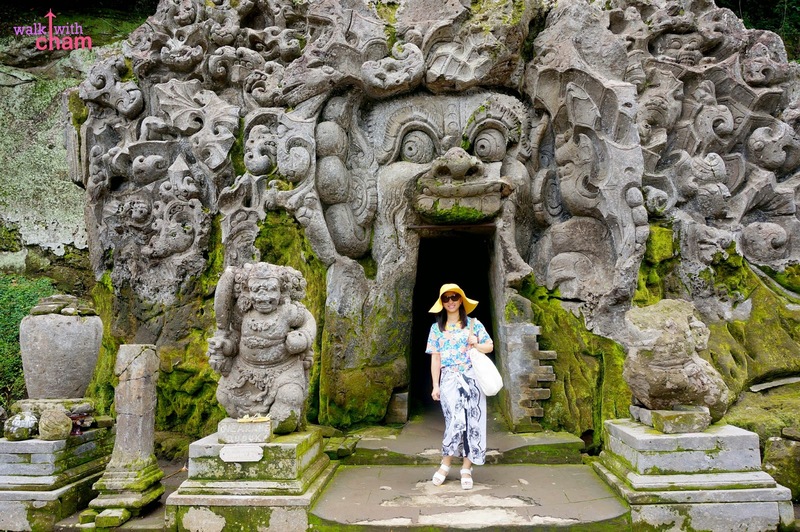 And because the rest of the family didn't bring their sarongs with them (they were also tired of exploring temples from our first day tour), it was only Mike & I who went to see the famous cave. 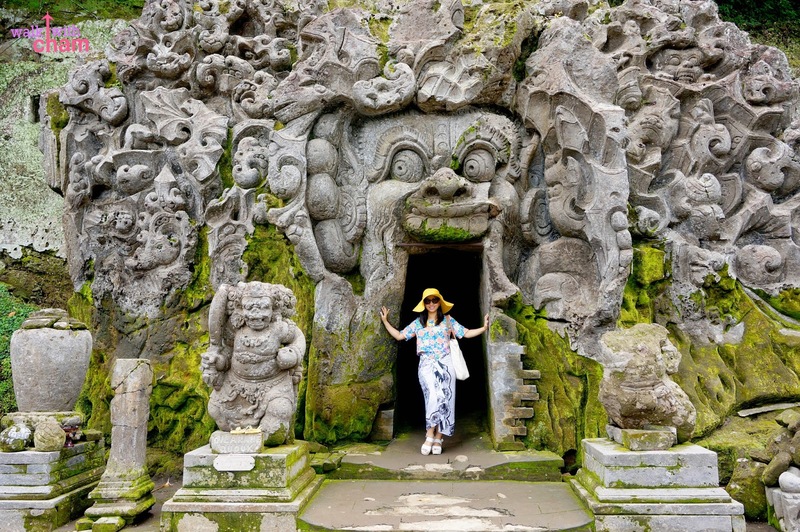 Goa Gajah or Elephant Cave is an archeological site and a spiritual place for meditation famous for its rock wall carvings. We paid for our entrance fee worth Rp 15,000 (P55) and if you have no sarong with you, you can rent outside naman. 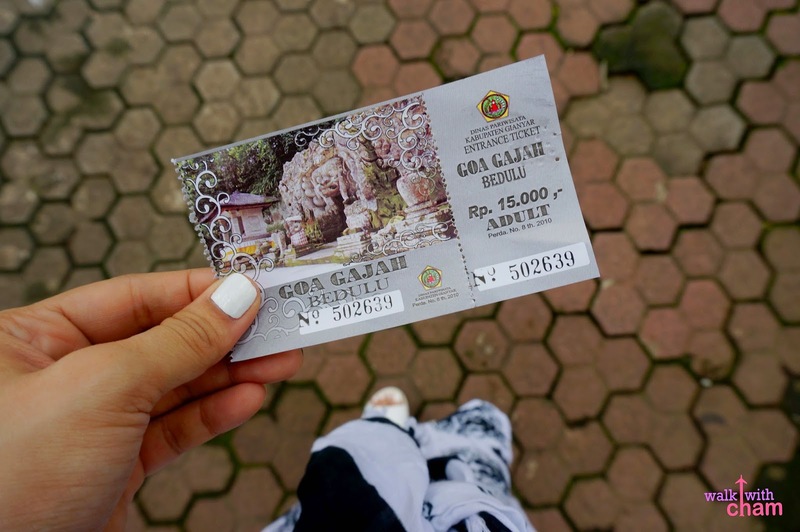 Upon entering we passed through a number of souvenir shops and then walked a few steps down and reached Goa Gajah's central ground. We first saw a school of old stone carvings which I am not aware of its significance. 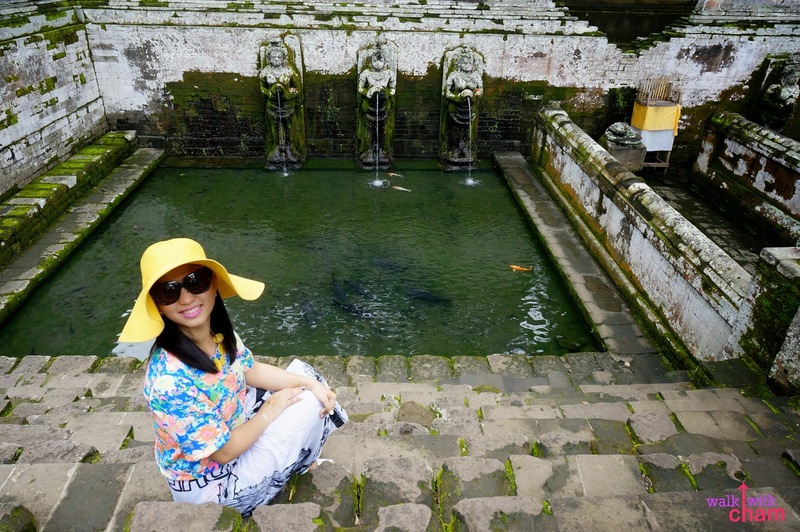 And just across the stone carvings, there is a bathing temple that reminded me of Tirta Empul. 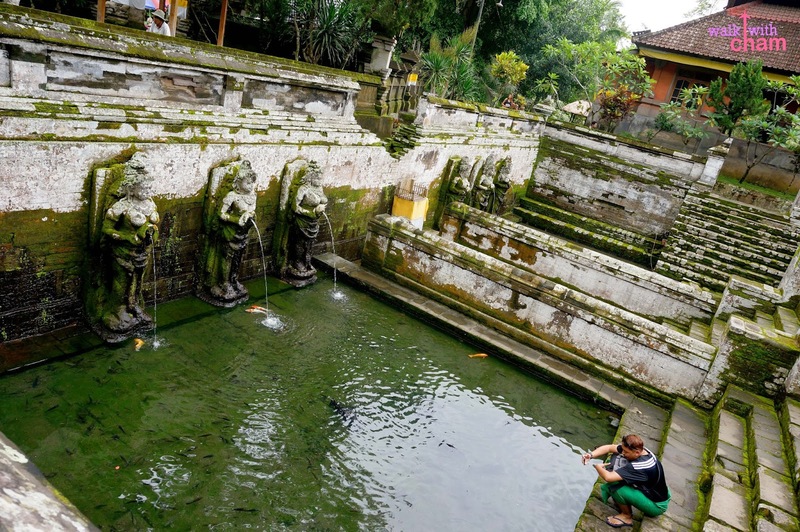 This pool was excavated in 1954 that features six statues of Hindu angels holding vases that act as waterspouts. 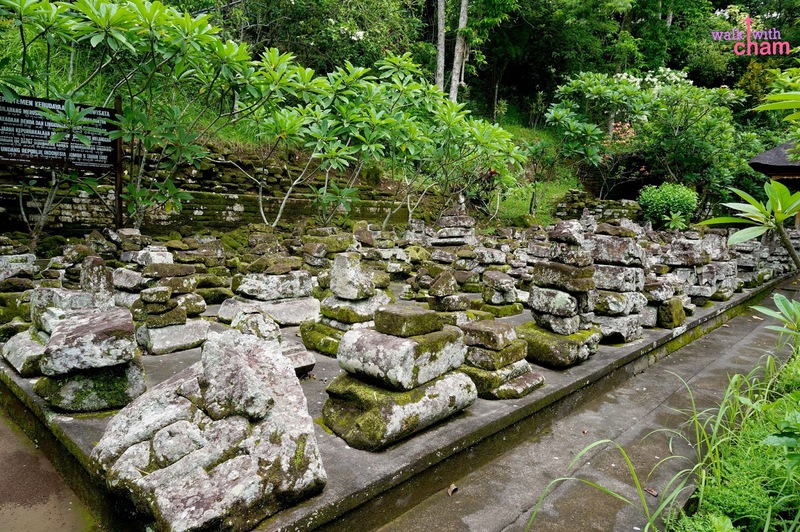 It is said that the pool was built to ward off evil spirits. And of course the highlight of this site is the mysterious cave. It was named 'elephant' from the Hindu lord stone figure inside the cave, Ganesh which is characterized by an elephant head. The entrance of the mouth is a popular site for tourists. It looks like a demonic mouth which suggests that people are entering an underworld as they lure inside the dark eerie cave. It's as if the demonic figure is about to swallow his bait. Creepy! Because it was only me and Mike who explored this site, there were no photos of us together [boohoo] so instead we took some solo shots. I tried exploring the cave it was small & dark which gave me the creeps. I didn't event think of taking a photo of it. 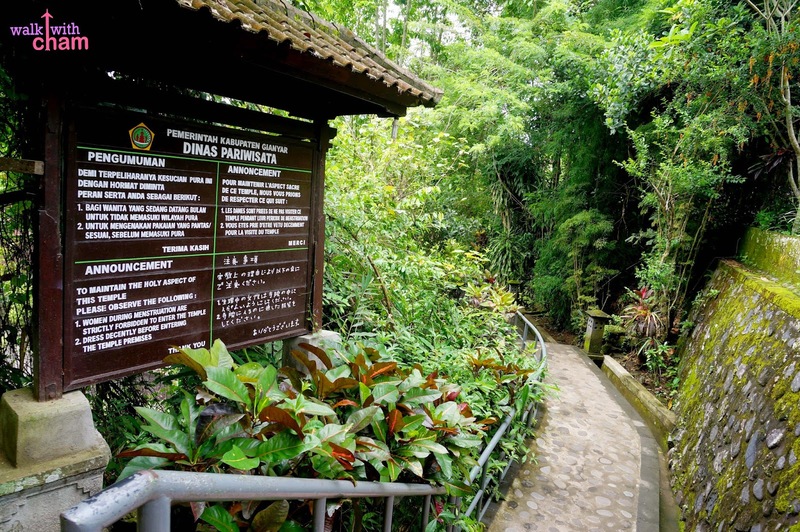 Goa Gajah only took us less than 30 minutes to explore. 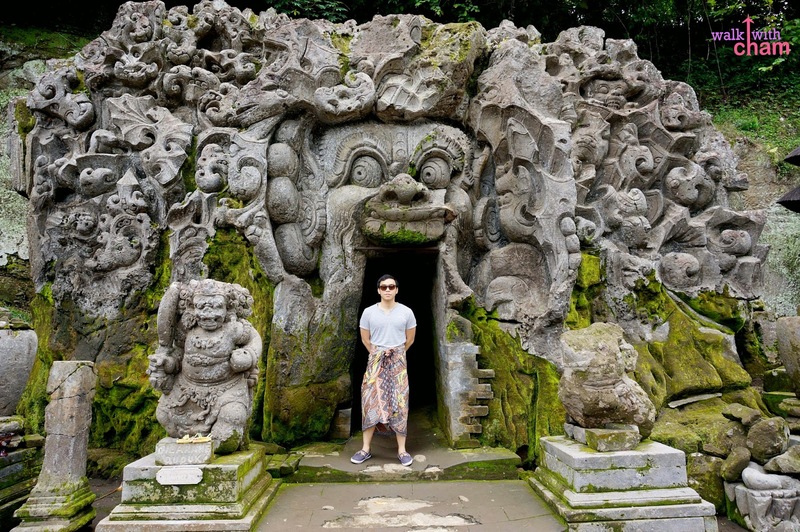 We just wanted a photo with the cave, a good quick stop if you're around Ubud area.